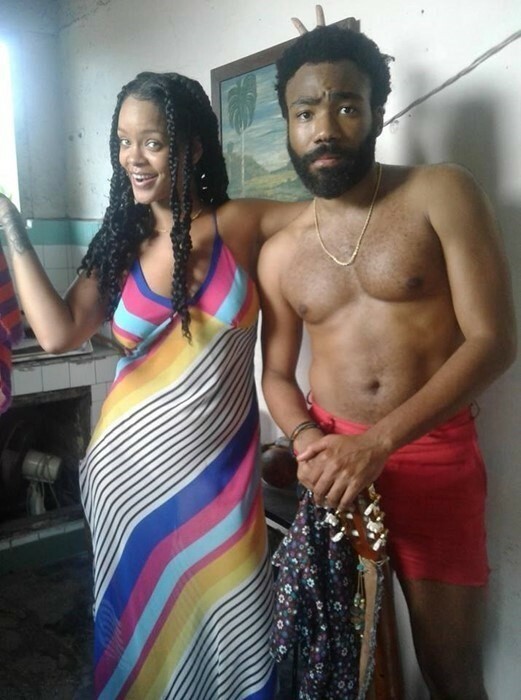 The internet went pretty (justifiably) wild when Rihanna and Donald Glover were spotted recording a new film in Havana in August last year, and then again when a trailer was revealed at Glover’s Pharos festival in November. Now, people have been spotting more teasers, hinting that the Hiro Murai-directed Guava Island project is coming very soon. While it’s not clear exactly how the film is going to be released, there have been suggestions that it will be somehow linked to Glover’s headlining Coachella set on April 12. Will the film be premiered exclusively to Coachella audiences the night after, or will it come in the form of a visual album, as Crack suggested (March 14) when it found cinematographer Christian Sprenger had called it that on his resume? With Donald Glover’s penchant for mystery, we’re probably just going to have to wait until April 13 to find out. At least we can rest easy, though, knowing it won’t be long until we see Childish Gambino and Rihanna on screen together.